Click on image to view 3000 x 2232 pixel, 1.5M image. 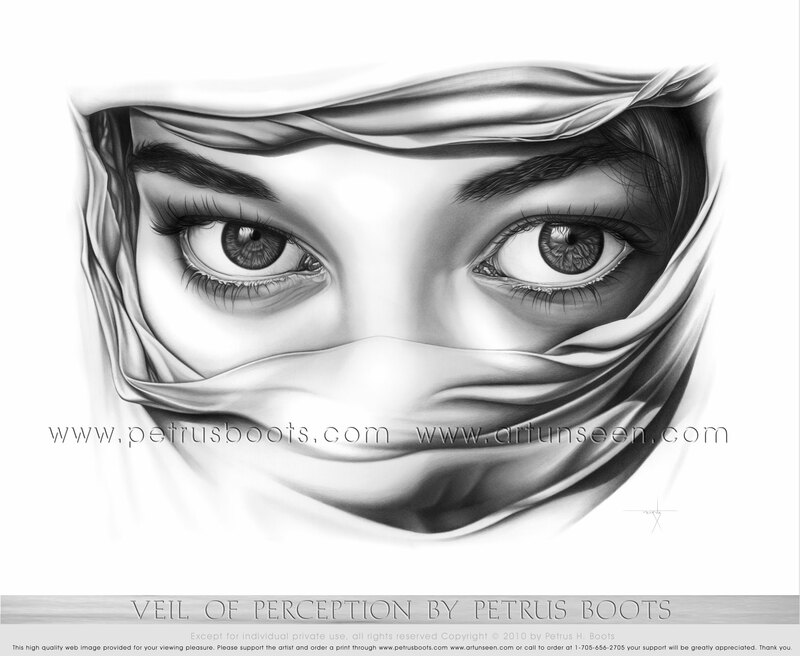 Veil of Perception ~ Premium Edition I † is as close to the original pencil drawing as modern printing technology can reproduce. Using the highest quality inks for reproducing true black and white images, Edition I is printed on on heavy weight 425g acid free 100% cotton rag. 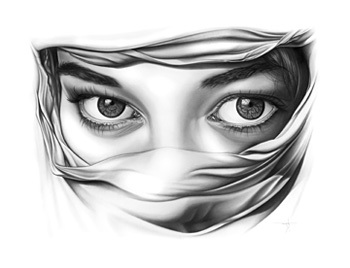 Edition I is also highly limited in the number of reproductions with a maximum of 60 signed and numbered prints produced. Veil of Perception ~ Limited Edition II † with equivalent print and stock quality as the premium edition, finds it's distinctions only in size and quantity. This cost alternative edition will be held to a total of 750 reproductions. Edition II, as with all print editions by Art Unseen, is proofed and accompanied by a certificate of authenticity signed by the Artist.